This is a survey of Lebanese aviation, defence and aircraft scale modelling magazines. All magazines are Arabic text only, unless otherwise stated. Subtitled Past, Present and Future. Beirut-based HPM publications specialises in recording the history of experimental research aircraft, and the pilots that flew them. ‘World X-Planes’ was a 48-page English-language quarterly magazine dedicated to the history of experimental aircraft, or X-planes, of all countries. It covered past, present and future projects – one-off research aircraft never intended for production, (for example the Douglas Skyrocket and Bell X-2), and prototypes of production aircraft (for example: Lockheed XF-104, Dassault Mirage F1 prototypes, Dassault Rafale A). It also covered the life stories of the test pilots that flew these aircraft. A fascinating and well-illustrated magazine on a little publicised area of aviation history. Unfortunately, subscription numbers were not high enough to justify continuing this title. No.1 was published in late January 2005 and the last issue (No.3) later the same year. A one-off issue entitled “Special Release No.1” covering the FD-2 and BAC.221 appeared in 2006. Entitled ‘Al-Difa al-Arabi’ in Arabic. 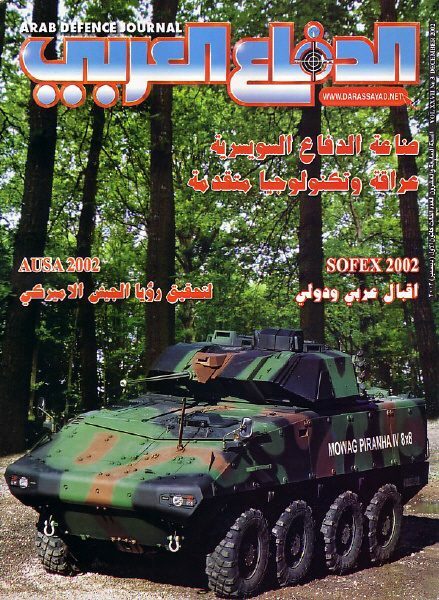 Launched in 1976, the ‘Arab Defence Journal’ covers defence issues throughout the entire Arab speaking region, and offers an independent source of information on all military questions. Each month, the magazine reports on news and current affairs from the Middle East and around the world, along with features on aerospace, naval and land systems. It also publishes articles on electronics, computers & communication equipment, as well as police and public security issues, with the latest strategic analysis. The magazine is published monthly by subscription only. Twenty-two Bell-built and Agusta-built 212s delivered from 1973. Used by ? Squadron in the ? role. Withdrawn in 1999 when replaced by the UH-1H. Five restored to service from 2007. Three SE3130 delivered in 1959. An additional example was loaned by France for three years. Used by 3 Squadron for the light transport role. Withdrawn from service circa 1981. Reserialled to L-301 etc. Eight SE3160 delivered from 1961, plus five SA316B received in 1969, making a total of 13 examples. Used by 3 Squadron for the utility transport role. Withdrawn from service after 1993. Initially serialled L-220 onwards, but some later reserialled. Six ex-RAF Hunter F.6 refurbished and delivered from 1975 under the designation FGA.70A. Used by ? Squadron in the ? role. The aircraft were initially serialled L-170 onwards, but reserialled in the early 1970s. Re-activated by Nov 2008. Six ex-RAF Hunter F.6 supplied from 1958 onwards, using the designation FGA.70. Four ex-Belgian AF Hunter F.6s refurbished to FGA.9 standard and delivered from 1965 under the designation FGA.70. Used by ? Squadron in the ? role. The aircraft were initially serialled L-170 onwards, but reserialled in the early 1970s. Re-activated by Nov 2008. The HSA civilian-registered Hunter T.66A 2-seat demonstrator aircraft was a converted ex-Belgian AF single-seater. During 1963 it was modified to T.69 standard and leased to Iraq 1963-65, who then sub-leased it to Lebanon for a short while. Used by ? Squadron for the conversion training role. Three ex-Belgian AF F.6 aircraft converted to T.66C two-seaters by HSA. Used by ? Squadron for the conversion training role. The aircraft were initially serialled L-170 onwards, but reserialled in the early 1970s. Re-activated by Nov 2008.